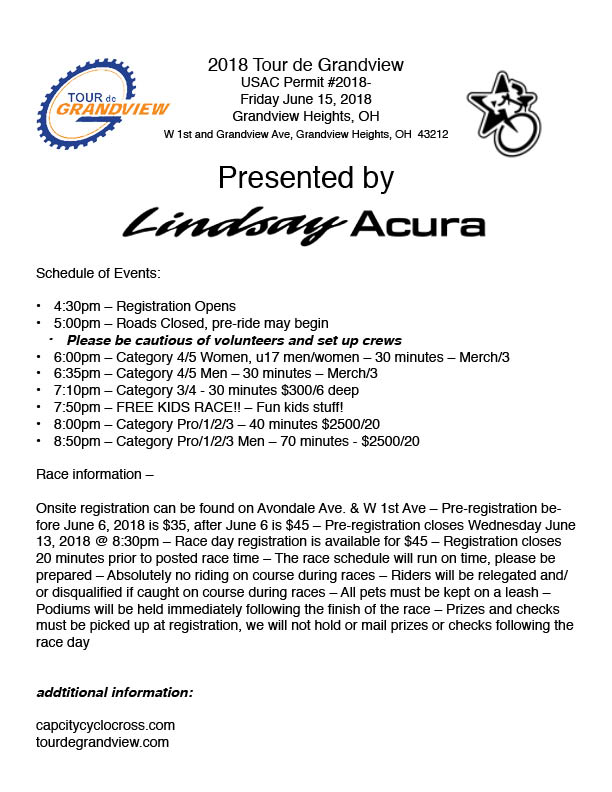 The Tour de Grandview is arguably the most anticipated and celebrated road race in central Ohio. The Tour de Grandview (TdG) was established in 1994 and 2018 will celebrate it's 25th consecutive edition. The course is four corners; fast and sweeping and offers waves of races for men and women; from first time racers to seasoned professionals. In addition to the race Destination Grandview coordinates a block party with beer & food vendors, live bands and more! It is more than an honor for Cap City Cyclocross to be back at the helm for 2018. Words can not express how excited we are and hope to see you all there! Don't assume the lack of turns will make this criterium 'easy'. A slight false flat out of turn 2 makes each lap relentless. Breaks come and go; but it's rare they stay away. 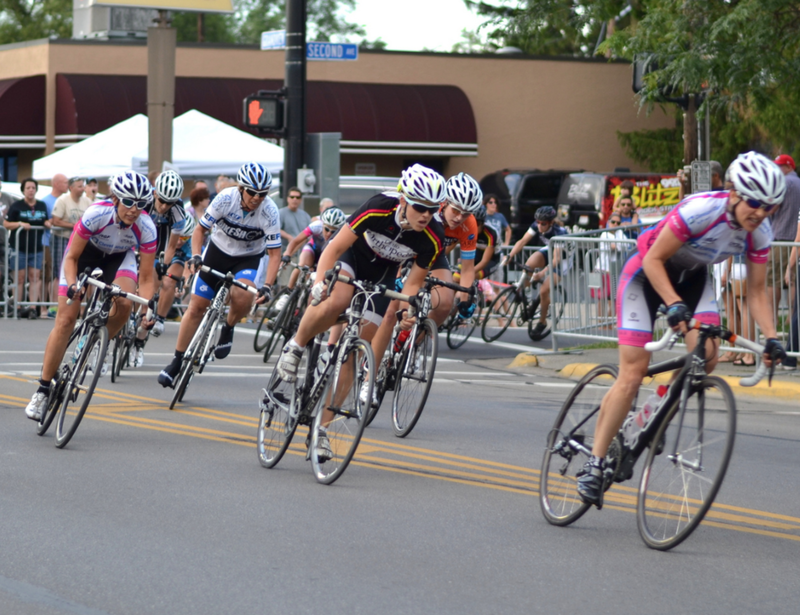 The Tour de Grandview has a rich history of professional racing. Local racers (Kirk Albers and Paul Martin) and international professionals (Bayden Cooke, Mark McCormack & Laura van Gilder) have all competed, and won. Since the beginning, the TdG has been a supported and strengthened by local clubs. It's the highlight for clubs like Paradise Garage Racing, Headwind Cycling, VeloScience Racing Team, Lady Gnar Shredders, Team Six One Four, Brioso Cycling and many more! their support is why we do this. period.